You’ll get fast and secure remote access, all the top features, and a price that saves you 50% or more when compared to TeamViewer 14’s commerical plans by choosing Splashtop. If you’re in the market for a new remote access and/or remote support solution, then you’ll be better off choosing Splashtop over the latest version of TeamViewer. The recent announcement of TeamViewer 14 Final lists a few new features and performance enhancements (some of which are already in Splashtop) that are in the new version. However, the truth of the matter is that you’ll get everything you need with Splashtop and pay far less for it. 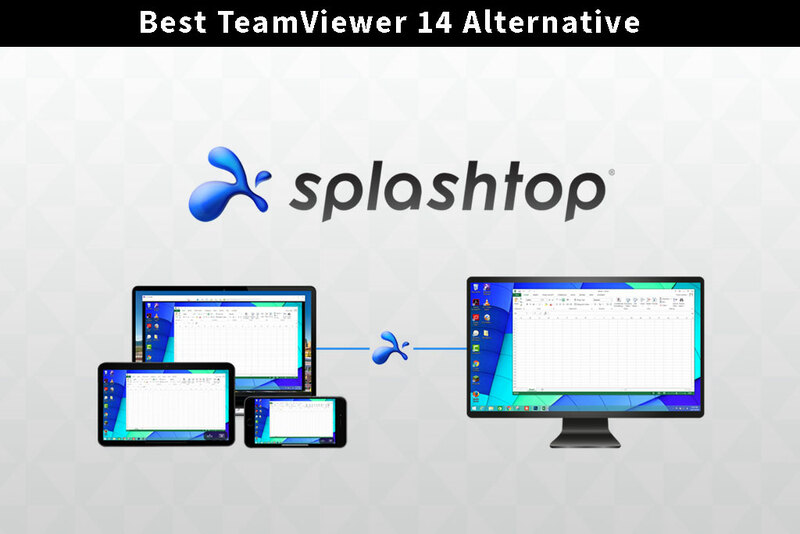 In this article, we’ll go over how Splashtop compares to TeamViewer 14 and what you’ll get out of each option. Plus, before we go any further, it’s important to mention that you can get full access to the Splashtop solution of your choice for free for 7 days (no credit card or commitments required), so you can try Splashtop yourself and get the reassurance you need that you’re making the right decision before you purchase. Here’s why you should hold off on that TeamViewer 14 download and try out Splashtop first. At the core, Splashtop and TeamViewer are both remote access solutions. Both give you fast remote connectivity to your computers and devices from any other device, from anywhere in the world. Both work across the most used operating systems (Windows, Mac, iOS, and Android), and both have simple user interfaces. With that said, both have the features you’ll need to complete your day-to-day tasks. You’ll be able to remotely control your computers or mobile devices and get your work done with ease. This is where Splashtop comes out as the clear choice. Whatever your use case, Splashtop can save you 50% or more when compared to TeamViewer 14’s commercial plans. TeamViewer 14’s commercial plans start at $588 per user per year*. Splashtop starts at $99 to $299 per year. The reason is because Splashtop has different products for different use cases. With Splashtop, you’ll get a solution that’s designed to be exactly what you need. Do you want a remote desktop solution to access your computer while away? Do you need to support your users’ computers? Or do you need a way to provide on-demand remote support the moment your customer needs it? Whatever the use case, Splashtop has a solution that gives you fast remote access and the exact features you need. Splashtop also has some of the performance enhancements and features that are new to TeamViewer 14, such as macOS Mojave Dark Mode support and the ability to view your users’ trusted devices. Read more about the price difference between Splashtop packages and TeamViewer here. You can also see our full TeamViewer vs. Splashtop comparison. Don’t just take our word for it, try Splashtop for free for 7 days. We guarantee you’ll be convinced that it is the best alternative to TeamViewer 14. Since we don’t require a credit card or force you into any commitments to get started, there’s no risk to getting set up right now. Select your Splashtop solution of choice to learn more, or click the button below to get started with Splashtop Business Access for a fast and simple remote desktop solutions. Splashtop Business Access: for individuals and small teams who want to remotely access their computers. Splashtop Remote Support: for MSPs and IT support teams who want to anytime, unattended remote access to their users’/clients’ computer to provide remote support. Splashtop SOS: for Helpdesk and Support professionals who want to provide on-demand (quick support) remote support to their users’/clients’ devices. Ready to get started with Business Access, Splashtop’s award winning remote desktop solution and great alternative to TeamViewer 14? Follow the button below and get set up in minutes.